Hello from Metinic! I’m Amy, and If you’re a regular reader of this blog (there must be a few of you out there!) you might remember me from last summer. This is my third summer working on a seabird island for MCINWR, and I can’t tell you how glad I am to be back on Metinic. 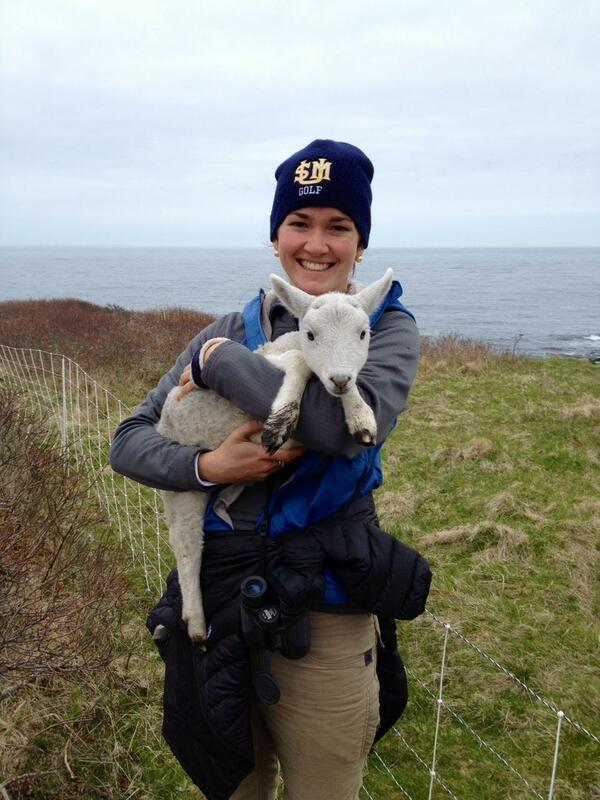 Joining me this year is Syd, a recent University Maine graduate, and Maine native. This is her first summer living on a seabird island. Our first task on the island has been a bit of spring cleaning. Over the winter, trash and debris have a tendency to wash up into the colony, so Syd and I have been picking up bags of trash including the ordinary (plastic bottles, aluminum cans, a lost sandal or two) and the unusual (snow shovels, cans of cheez whiz, and a section from a car dashboard). 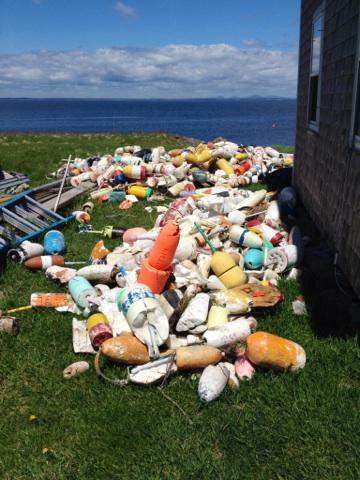 We’ve also rounded up some buoys. 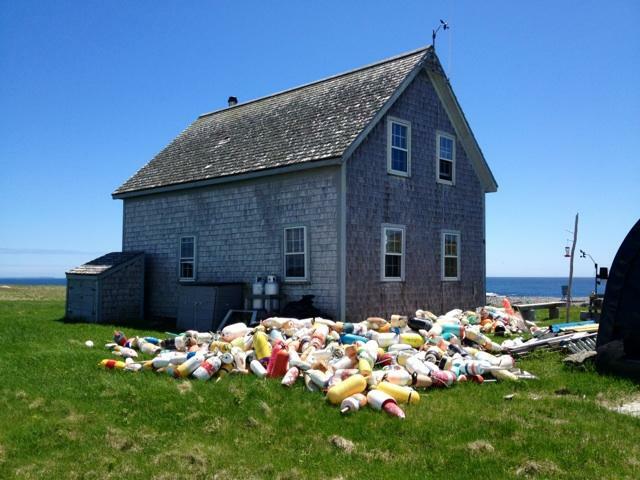 Lots of buoys. Our other job for the first few days on the island was to send Metinic’s year-round wooly residents south for the summer. The sheep of Metinic normally have the run of the entire 300+ acres of Metinic, but during the summer, they are restricted to the southern end of the island so that they don’t disrupt the colony or accidentally step on a nest. Thanks to help from Refuge staff and volunteers, we managed to herd the whole group out of the colony and down to their summer home. 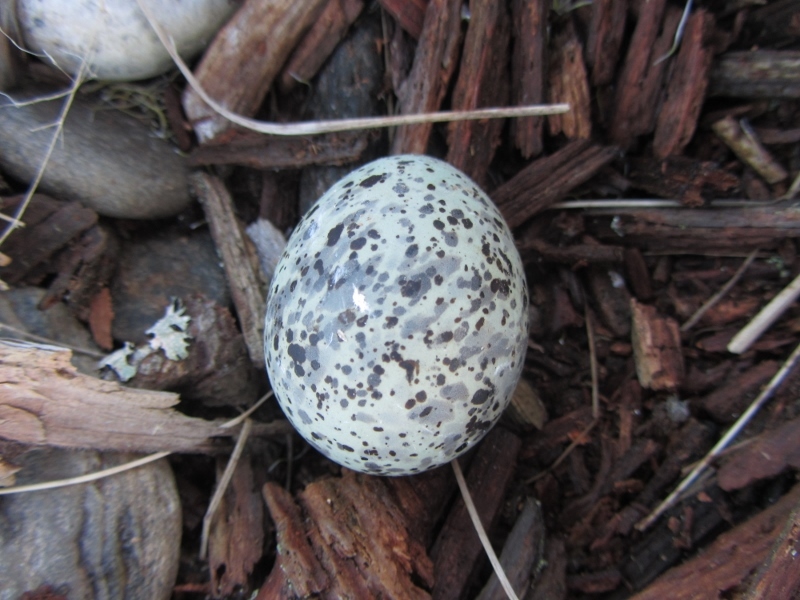 Best of all, a handful of birds have really settled in: we found our first eggs yesterday! 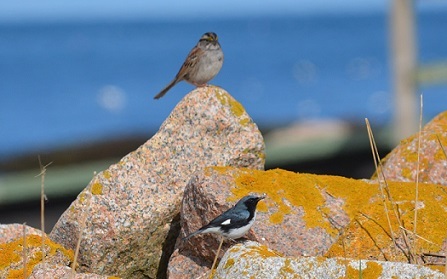 During the past few weeks, we have enjoyed watching the migrating passerines that pause to rest and refuel on Petit Manan. 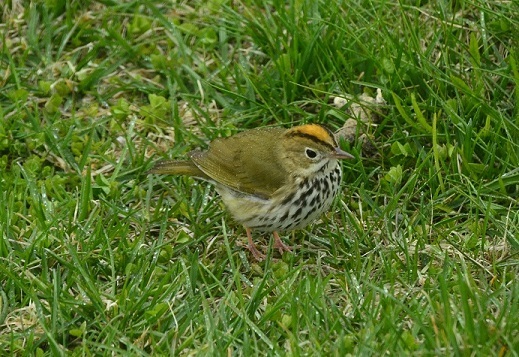 On the mainland, many migrants are spread far and wide throughout expansive forest habitat, often bouncing around high in the trees. However, here on PMI we have the rare opportunity to see songbirds up-close in the intertidal. 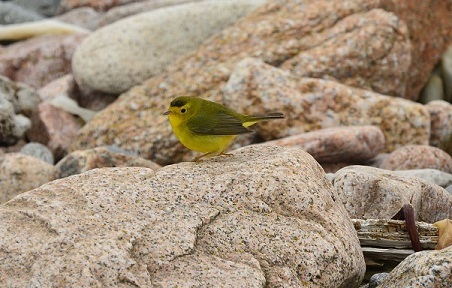 Flies buzzing among the rockweed provide a perfect meal for these hungry birds. 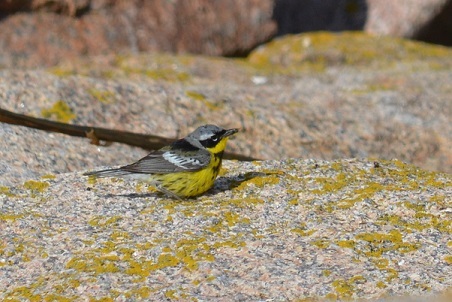 Since Petit Manan covers 16 acres and has only one tree (a twisted spruce that is a few feet tall), migrants are easily visible and concentrated within a small area. 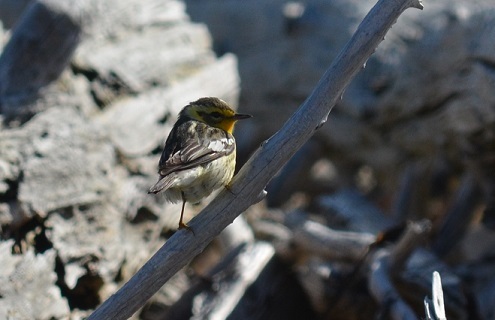 It seems almost surreal to find Blackburnian Warblers like this one hopping along the rocks, since this species normally feeds high in the treetops. Many of these migrants have traveled all the way from wintering grounds in Mexico, Central America, and northern South America. It is amazing to think that such tiny birds can travel this far, and continue even further northward to breed. Passerines often travel by night to avoid predation, and we sometimes hear them calling after dark as they resume their journeys. 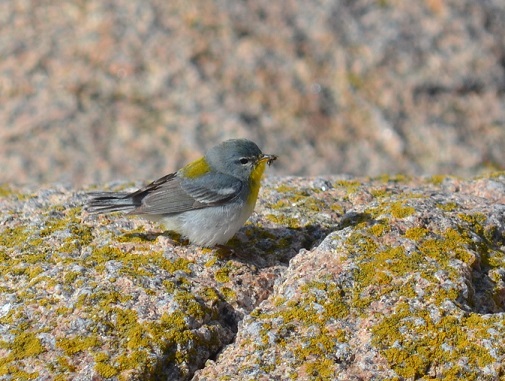 We look forward to having more migrant visitors, and adding to our quickly growing bird list! Enjoying the sun on The Brothers! Greetings from the Brothers! This is Jason’s and my first season working on the islands off the coast of Maine and it has already been a very exciting experience. The first four days here on the Brothers were so sunny I think we actually got tan believe it or not. Waking up early every morning and using a small inflatable dingy to cross the small channel to Eastern Brothers has been quite an entertaining experience and surprisingly a dry one too. After scaling rocks and exploring every nook and cranny reachable on the island I think we are finally becoming true caretakers of this small slice of Scotland. Although Bald Eagles greet us every morning it appears that our presence is deterring most of the predators from staying long on the Island. This is great, especially since hundreds of Black Guillemots have returned to the island. Their tiny squeaks create an incredible symphony in the mornings which coupled with their awkward water landings makes them quite an interesting bird to monitor. 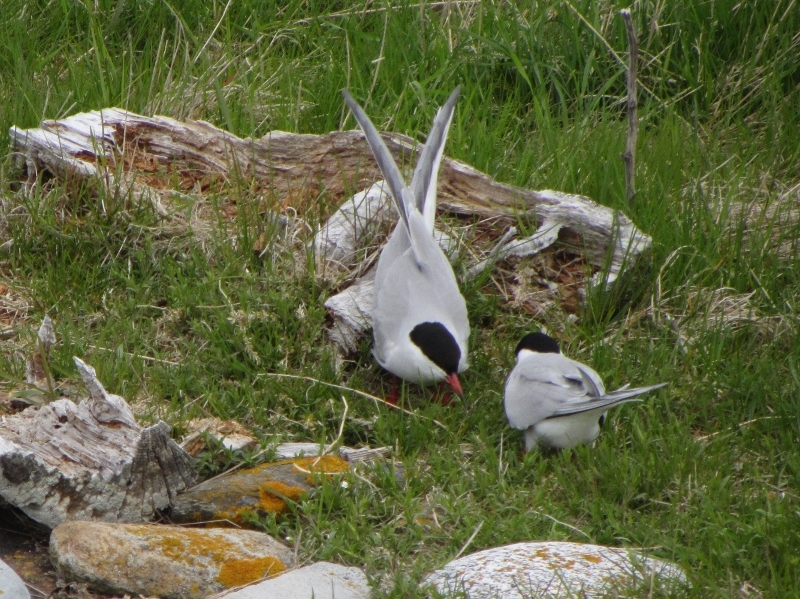 Although Reggie our resident Common Tern appears to be doing all that is in his power to scare away new Terns that fly to Eastern Brothers we have seen as many as 7 new Common Terns circling in groups around our decoy setup. A few pairs have even been bold enough to land for the day. I am hopeful that the terns will continue to come back and begin nesting on Eastern Brothers. 2014 Petit Manan Season Begins! Back to Island life! It’s been three years since I’ve lived on a Maine island and I’m glad to be back. Dug out all our gear, threw it together and off we went. “We” as in Julia and I – we have been dating for nearly three years and are working together this summer with two other technicians: Anna and Brittany. 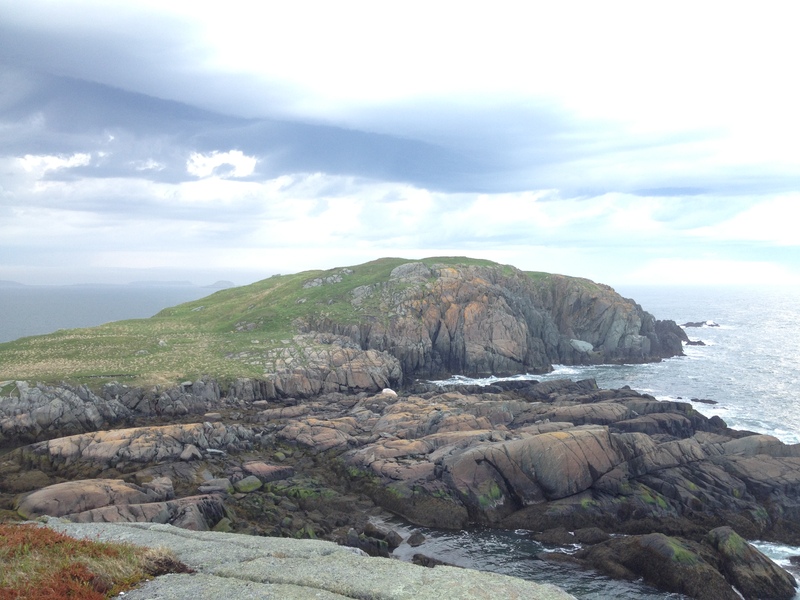 We are all biologists with varying amounts of experience and we all hope to have a great season with the terns and alcids here on Petit Manan. 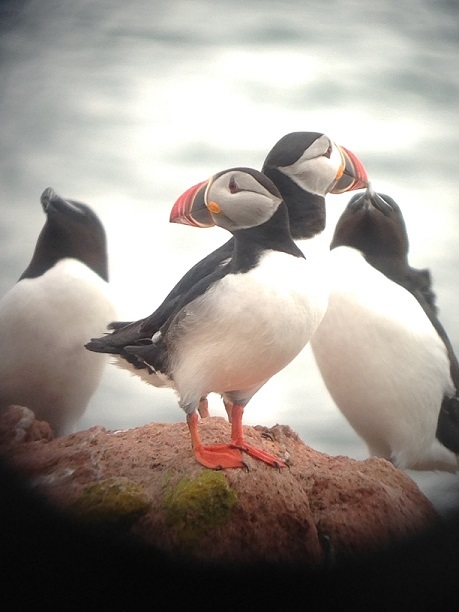 A puffin and razorbill pair through the scope. We arrived on May 7th and 20th with an ominous greeting by a Bald eagle perched on top of the boathouse. Unpacked all our gear and settled into our new home for the summer – a beautiful 4-bedroom historic building. That first night I was outside and heard the first Arctic and Common terns of the season as well as the unique calls of Leach’s storm-petrels! It was great to finally hear them again. Woke up the next morning, looked out my window to see Atlantic Puffins and Razorbills loafing on the rocks. How could it get any better? Time to climb the 137-step spiral staircase up Petit Manan’s 119ft lighthouse (second highest in Maine) to do morning alcid counts. Wow what a sight to finally be looking down on flocks of terns and guillemots from above. A seabird biologist’s dream! Oh no, what’s that? A Snowy owl!? 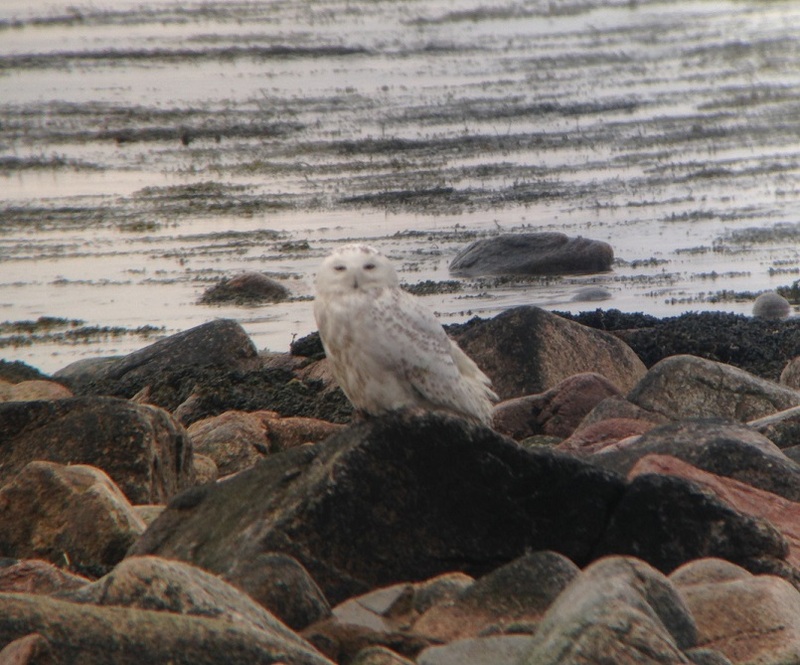 Snowy Owl for the first time in over a decade on Petit Manan! 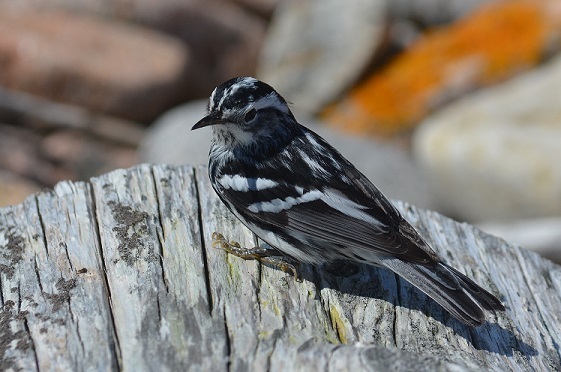 “Research birds on a coastal Maine island for 12 weeks? Sure!” was my first thought. I had never researched anything but black bears and birds are a different concept altogether. Experience has taught me that it doesn’t matter if you have no experience; you just have to be open to it and dive right in. The Maine Coastal Islands National Wildlife Refuge allowed me to do just that. What I wasn’t prepared for was the moment the boat left. Imagine packing up two totes with all you will have for a summer, enduring two days of training, and being dropped off on a small island with someone you just met the day before yesterday. Imagine the boat driving away and knowing that your entire life relies on them coming back and your next three months will be spent getting to know the stranger next to you. I can’t explain that moment when the boat leaves, when you know all you have to contact the outside world is a phone, your only means of leaving is a dingy. What I can tell you however is that I am a week in and I don’t regret it for a second. Ship Island is in Blue Hill Bay, just southwest of Mount Desert Island (Acadia National Park). From the island, my supervisor, Mary and I have a gorgeous view of Cadillac Mountain and the small coastal islands that surround us. East and West Barge are covered in seals, cormorants, and gulls. 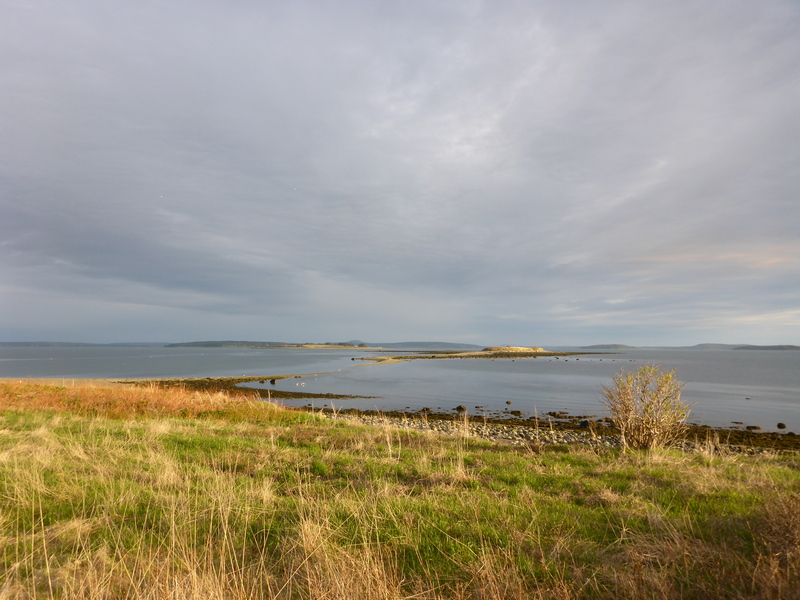 Trumpet Island is slightly larger and covered with common eiders. The past week Mary and I have set up an outhouse, cut trails, documented species, and put together our new home for the summer. 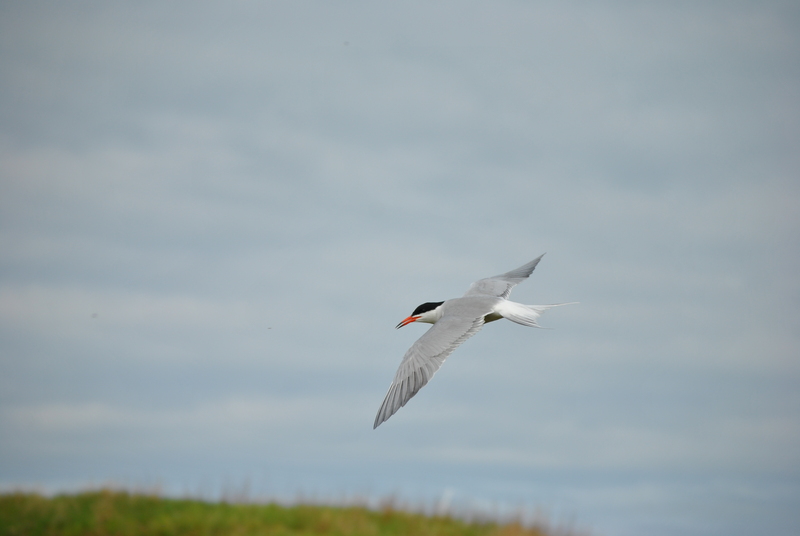 Terns are our main focus here and we are excited to let you know that we have seen them every morning! Lately they have even returned at night. We have high hopes that it will be a good season for them. If you want to know more about living on a Maine island and about the tern colonies, then keep up with our blogs. Thanks so much for reading! Till next time! ( Yes, together we make Rosemary).